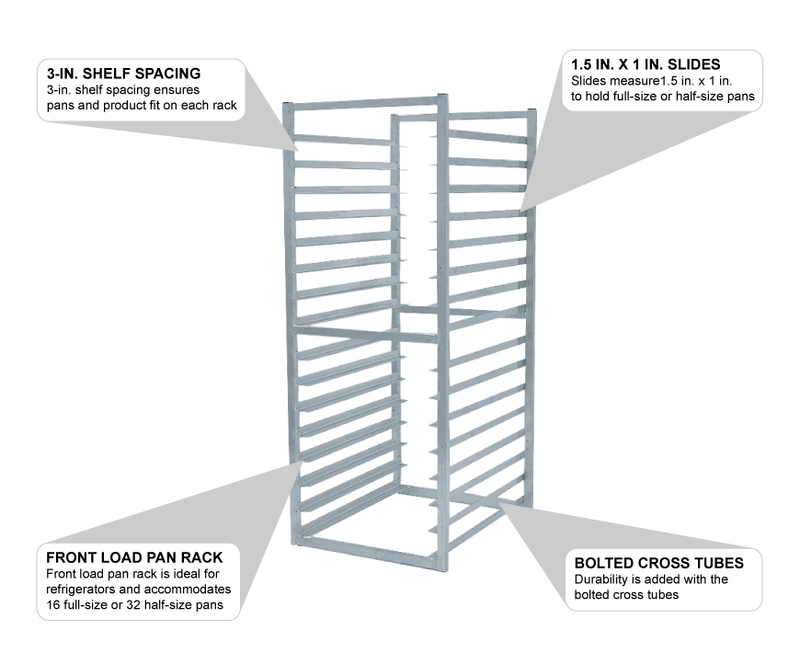 The Advance Tabco RR-16-X 16-sheet pan rack is a front loading unit. It can accommodate 16 full-size pans or 32 half-size pans on (16) 11⁄2 inch by 1 inch slides. The 3-inch spacing between each slide provides space for pans and their contents to fit comfortably. 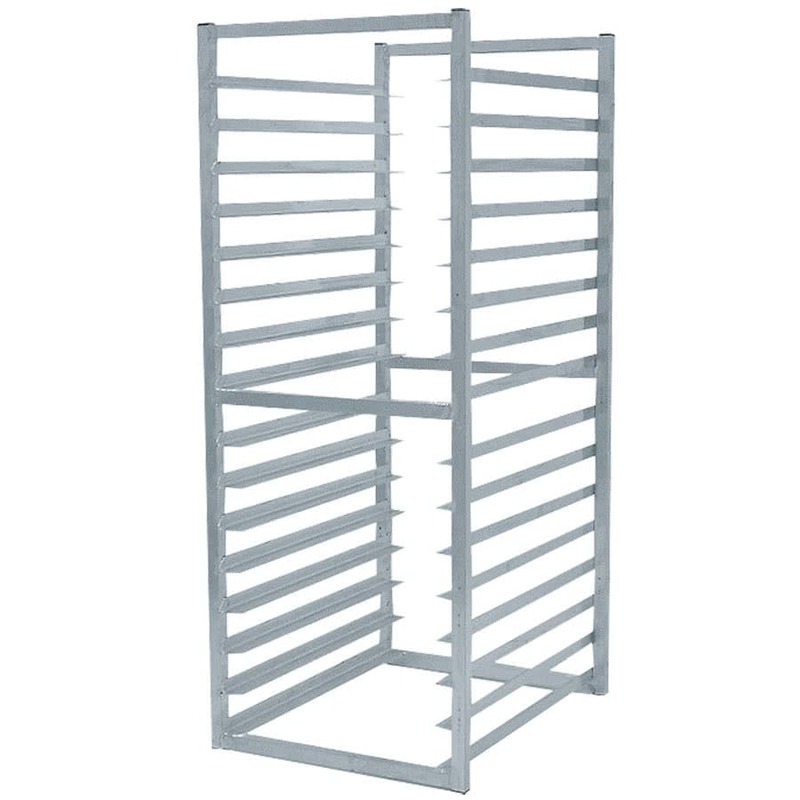 Top, middle, and bottom bolted cross tubes add stability to the rack by holding them together. The Advance Tabco RR-16-X 16-sheet pan rack is perfect for walk-in refrigerators and freezers thanks to the aluminum construction since it resists corrosion. 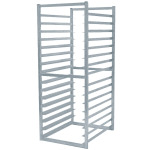 To ensure the rack will fit in your walk-in, the interior dimensions of the unit should be verified.